The following table lists how Balzac ranks for mortgage applications sent to our website. The data collected is over a 7-year time frame. A location has to have a minimum of three applications to make the list. To find more information, simply click on a location. The figures below represent the average income of Canadians living in Balzac who have applied for a loan using the pre-approval application on Mortgage Super Brokers' web site. Note: Commercial Mortgage loans were not included for this survey, only residential loans amounts were used. An amortization is the amount of time scheduled to completely pay off a loan, and the amortization length you choose is important in shaping how much you'll end up paying for your home. While the Government of Canada's national housing agency caps the amortization period for high-ratio mortgages at 25 years, and that is the most popular amortization length in Canada, amortizations can range anywhere from 5 to 30 years for uninsured mortgages. 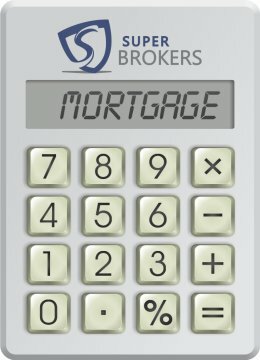 Try our easy to use mortgage calculator to see how changing the amortization length affects your loan payments. For the best rate information in Canada, make use of our up to date interest rate comparison chart. Our brokers are not even remotely afraid of advertising our competitor's rates because we know how we stack up.